Closing Date: Friday 21st December 2018. 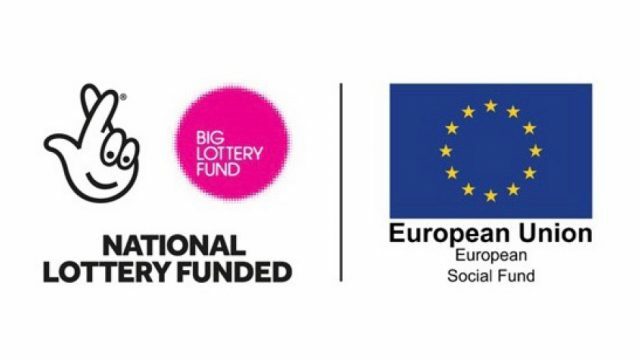 Funding Post funded by the European Social Fund and the National Lottery, through the Big Lottery Fund. The AFC Fylde Community Foundation is a forward thinking and fast-moving community trust which works in partnership with AFC Fylde Football Club, based in Kirkham, Lancashire. The Foundation currently deliver a number of flagship community development programmes, which aim to motivate, educate and stimulate. An exciting opportunity has arisen for a motivated, committed and driven Transformational Coach to join the Foundation’s Extended Services Team as part of the Changing Futures project. Through this project, AFC Fylde are working alongside a range of local partners who have been commissioned to deliver a project which works with over 18s throughout the Wyre, supporting them towards, and back into employment. The TC will be responsible for the delivery of the ‘Changing Futures’ project, which is part of the Building Better Opportunities (BBO) programme for Lancashire. The TC will be a highly motivated specialist support worker experienced in supporting unemployed and at times vulnerable adults, alongside meeting targets, demonstrating comprehensive assessment skills, in order to carry this work out. The TC must demonstrate the ability to work in very close partnership with theme leads, and must possess a comprehensive understanding of Personal Development Plans, which includes the development of such plans, including monitoring and evaluation. The TC must be able and confident in supplying ‘end of support, exit strategies’, which includes working to improve participants mental and physical wellbeing, accessing work placement and employment opportunities and offering stimulating volunteering packages, in order to move participants closer to the employment market. The TC will be enrolled into The AFC Fylde Community Foundation’s pension scheme. The post holder must have access to a fully insured, and roadworthy Motor Vehicle, as the nature of this post will require travel across an extensive area. Mileage will be paid at 0.40p per mile for the first 10,000.00 miles, and 0.25p thereafter. Coordinate strong partnership working relationships with thematic leads, and partners within the consortia, to ensure smooth transition of partners between each support mechanism, built into the working mechanism of the ‘Changing Futures’ project delivery theme. Develop a comprehensive knowledge of local support mechanisms currently in place throughout the Wyre, developing sound working relationships with local business and training providers, allowing for the sourcing of quality work placements/volunteer projects, and access into employment. Create and deliver a range of bespoke support programmes, which take place in accessible locations, and are flexible to the participant’s individual needs. Develop a comprehensive understanding of the complex needs, participants who are entering this programme, ensuring that the digital development is mapped, and monitored throughout the duration of their engagement in the ‘Changing Futures’ project. Develop comprehensive ‘exit strategies’ for each individual who takes part in the programme. This is made possible through the TC having a comprehensive knowledge of each partner’s role within the ‘Changing Futures’ project, ensuring participants are signposted to the correct partner to cater for their needs. The TC must have an awareness and understanding of mapping participant’s journey outside of the programme, specifically around the steps taken by participants outside of the programme, which have been supported through engagement in this programme. The TC will be directly responsible for supporting the completion of all Building Better Opportunities monitoring requirements and will complete such requirements in a timely and accurate manner. The TC must have extensive knowledge and experience in delivering Accredited programmes in the community, and as a minimum a PTTLS level 3 qualification. From time to time the TC will be expected to completed duties outside of their normal day to day duties, these will be as instructed by the Director and/or Community Development Manager.